Their chief characteristic is that their main business is internal transactions between members. However, some other co-ops have mutual characteristics, such as farmers co-ops which provide supplies to, and market the goods of, member farmers. 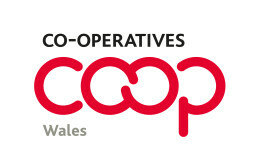 Farmers Co-ops in Wales are represented by the Welsh Agricultural Organisations Society, which was founded in 1922. They can be contacted via WFSBorder, a large farmer owned co-operative in Aberystwyth.